Home/tutorials/Increase RAM on ANDROID Easily!! In laptops and personal computers, users have the luxury to expand the Random Access Memory or RAM, which is crucial to a device’s performance. The same facility is not available in tablets and smartphones. However, there are applications which allow smartphone/tablet users to expand their device’s RAM by a substantial amount. Take the Roehsoft RAM Expander for instance. We had used this app in one of my devices, which has only 256 MB RAM and could not run even some basic games. But after using the app, there was a noticeable change in the device’s performance. However, keep in mind that such applications require your device to be rooted and rooting a device voids its warranty. Also, rooting is advisable only for advanced users and you should not try rooting your smartphone or tablet if you do not have thorough knowledge of its functioning, as during the process you may end up killing your device altogether. Before we proceed, let’s have a look at the properties of the Roehsoft Ram Expander application. First of all, it is a paid application available from Google Play store for a hefty price of Rs 499. 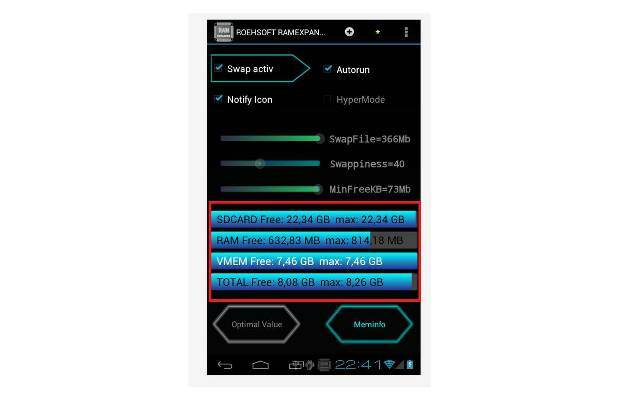 According to its developers, the app can increase the RAM of the device to 4 GB, which is a very tall claim as no tablet or smartphone as of now comes with such huge RAM. The app uses the micro SD card’s storage. Of course, since it claims to increase the RAM to 4 GB you need to have a high capacity micro SD card. It’s best if you have a 16 GB or higher capacity card as you also need to use the micro SD card to store your content. Also, go for a higher class micro SD card which has a higher data transfer rate and is crucial for better device performance. Here is a step by step approach on how to use the app. Before installing the Roehsoft Ram Expander application, you first need to root your device. If you already have a rooted device just download the app from Google Play store. From the menu tray of your device, locate and run the application. 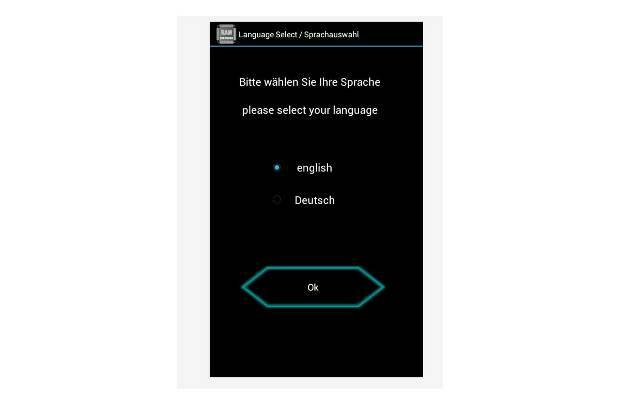 On opening, the app will ask you to choose your language – English or Deutsch. Then it would ask for root access; just press ok to proceed further. It will take just 10 seconds to complete the formality. On reaching the home page of the app you will see the memory info at the bottom that will tell you how much space is available in your SD card that can be used as RAM; how much RAM is present in your device and what would be the total RAM once you are done with the process. At the top, there are four icons – Swap active, Autorun, Notify icon, Hypermode. Click Autorun and Hypermode while leaving the other two. Click Notify icon, if you want the icon of the app into your notification bar. Just below the four boxes mentioned above, there are slider bars – Swapfile, swappiness, MinFreeKB. Swapfile slider tells you how much free storage in your micro SD card can be used. So choose the amount of SD card memory that you want to use as RAM by scrolling the bar. Then just click the Swap Activ box which will start the process. How to Root Android Phone EASILY AND FAST! Android(5.0+/-)Get Google Assistant In Android lollipop or less or high. How to fix the process com.google.process.gapps has stopped error.